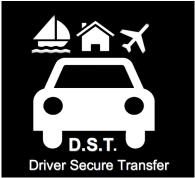 DST respond to all your transport and transfer requirements through a reliable door to destination service all year round. Whether you are travelling to the Riviera for business or pleasure - or simply need transport for a special occasion - we ensure you enjoy the most professional and cost-effective service. Air﻿port Transfers: We transfer you to and from major airports in Nice and Marseille, as well as to and from Cannes/Mandelieu airport. Seaport Transfers: We transfer you to and from all ports along the French and Italian Riviera, a service especially useful for yacht crew and cruise passengers. Event Transport: We drive you to and from the Cannes Film Festival, MIPIM, Monaco Grand Prix, MIPTV, Antibes & Cannes Yacht Show, Tax Free, MIPCOM, Monte Carlo Tennis Open and MAPIC. Leisure & Sport Venues: Whether a concert, theatre, restaurant or game, travel in comfort without the worry of parking at busy venues. Sightseeing & Shopping Trips: For your special day out, we collect you and drop you off at your chosen destination and pick you up at an agreed time. Our pricing structure is both transparent and cost-effective. Since many of our clients prefer to use credit cards for travel expenses, we offer an online advanced booking and pre-payment option. You can of course call us at any time of day to make a booking, and pay when you arrive at your destination.